I really loved Riley’s dress. It’s so pretty and romantic, which fits Riley’s style. I also love her french braids on the side. 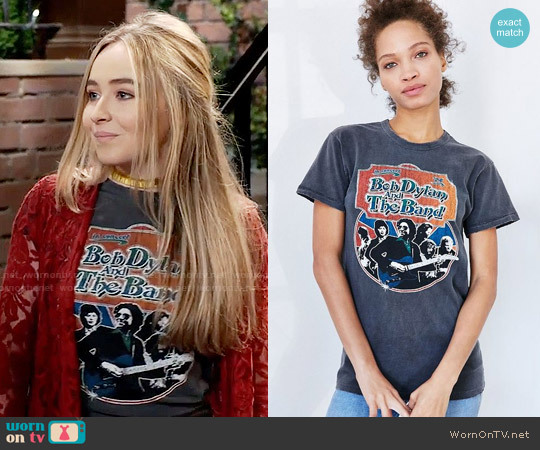 Maya opted for a Bob Dylan shirt and a lace cardigan, which was super Maya, as she added a choker too. Thanks for WornOnTV for the photo and details. If you need other TV fashion, check out the website.